Wembley Stadium installed two giant LED screens when it was first constructed. These screens were reaching the end of their life with the spare parts no longer being supported by the original manufacturer. 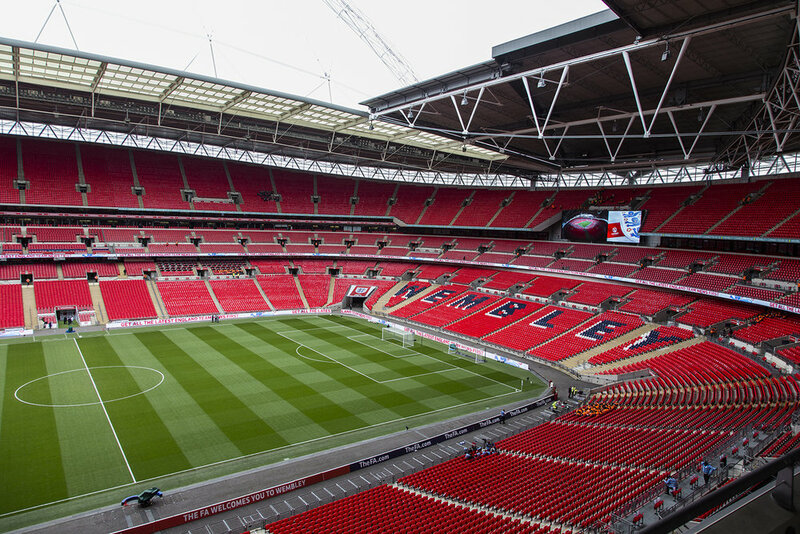 Wembley and the FA’s Director of IT, Rob Ray, approached us to consult on the purchase and installation of two new screens, along with a full 360 degree ribbon board on their first tier. During this process, we presented the opportunity to install the world's first 'see through' screen on the windows of the stadium, opposite Wembley Way. Using our 5D process, we defined the size and specification of the giant screens, ribbon boards and transparent screens, conducted the RFP with a number of leading manufacturers, organised a number of site and factory visits to see the product in situ and also the capabilities of the manufacturers factory. The installation of each of the three parts of the project created their own challenges and we aided both Wembley and the winning company to deliver, install and train the local operator. — Rob Ray, Director of IT Wembley Stadium.